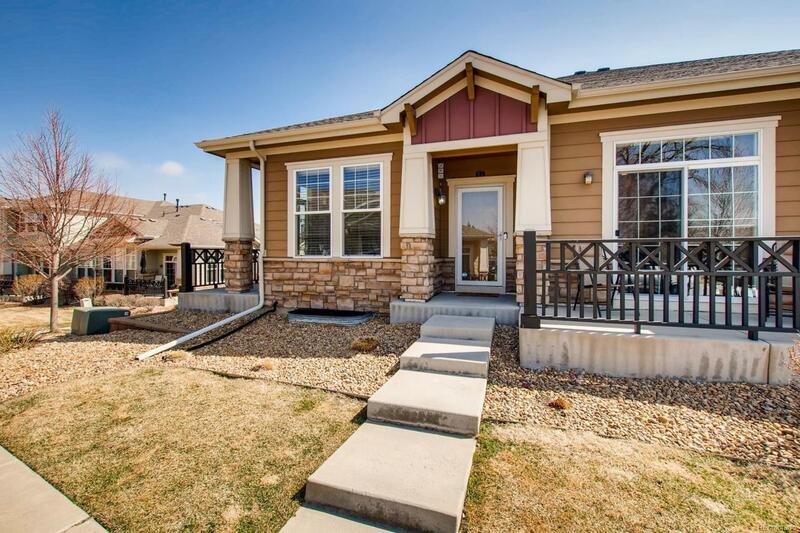 Beautiful ranch style townhome in the lovely and upscale Broadlands neighborhood. This lovely home features an amazing open layout with granite counters, huge island and gleaming hardwood floors. Vaulted ceilings, cozy fireplace and an office with tons of light and french doors. This home just shines and comes with all appliances and a full unfinished basement. Move in ready and quick possession. Offered by Distinct Real Estate Llc.